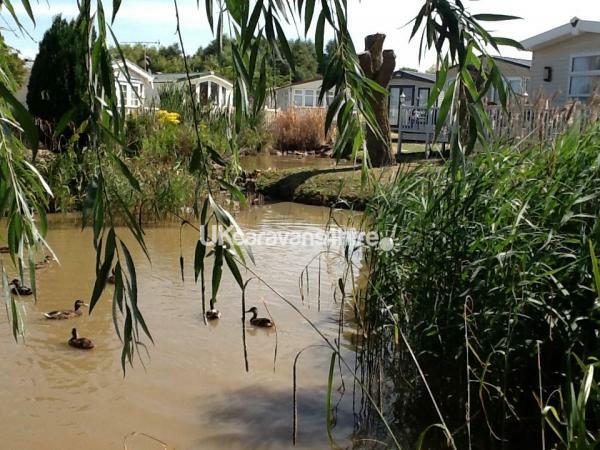 The caravan is situated in an exclusive area of " Kensington" it has a large garden area. We always feel relaxed and happy to be here at our new holiday home. 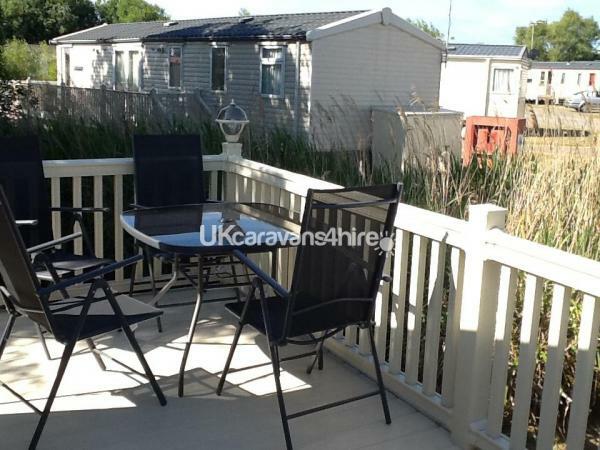 A large open planned caravan with the benefit of mature trees to one side, with sunshine on the decking in the morning and moving to the side in the afternoon. The open plan lounge/dining/kitchen area is spacious and includes TV, gas fire and a well equipped kitchen. Double glazed Windows, mains calor gas central heating throughout. There is a shower cubicle with toilet and wash hand basin in the main shower area, the main double bedroom has an ensuite with a toilet and washbasin. Quilts and pillows are supplied but BED LINEN AND TOWELS ARE NOT THEY ARE THE RESPONSIBILITY OF THE HIRER. 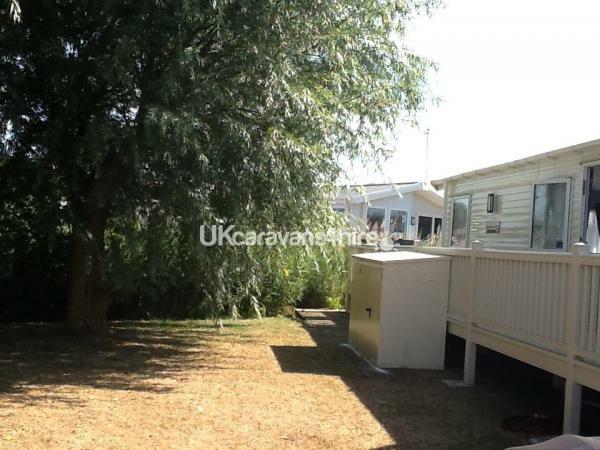 A 10% non refundable deposit is required to secure a booking and the balance to be paid 6 weeks prior to arrival with the additional security bond of £75 - this will be refunded 7 working days after departure providing the caravan is left in as good a condition as you found it on arrival and providing there are no breakages/damages or excessive cleaning required. Our caravan is available from 3pm on day of arrival and should be vacated by 11.00am on day of departure. SORRY ONLY A MINIMUM OF 7 DAY BOOKINGS ACCEPTED. On site we have ample facilities including laundry, clubhouse with daily family activities/ entertainment which includes amusement arcade and a large open plan restaurant. An indoor and outdoor swimming pool which is constantly manned - passes for the swimming/ clubhouse entry can be obtained from Reception.